L I G H T N I N G • View topic - LIGHTNING Guild Charter- Please Read! 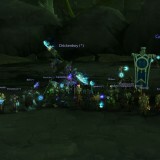 LIGHTNING is a coalition of guilds for all those who can only reliably play and raid later in the evenings. 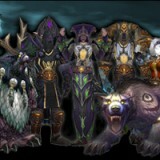 We start our main guild events, such as meetings and raids at 21:30 Server Time (20:30pm UK time). We are players with work, families, and other commitments that force our play times to be later in the evening. Our main purpose is to have fun playing the game. Guild chat and use of TeamSpeak is an important way of socializing within the game, and is welcomed - its helps the team spirit and rapport building between players. We have our own TeamSpeak server and strongly encourage its use during 5-man instances, mostly because it makes everything more fun. For raids, TeamSpeak is compulsory. You don't need to be able to speak but you do need to be able to hear the instructions from the Raid Leader - speaking out is also encouraged (i.e. raid strategy etc) when appropriate. We expect all players to have a good knowledge of their class and to be regularly reviewing their performance and optimizing their talent spec, skill usage and gear selection to maximize their role. if you are required to respec/re-talant/re-glyph then this should be done without hesitation. You will not be invited to raids or the harder 5-mans if your gear or performance are far below the level of other available players. 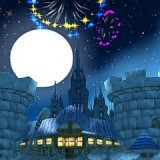 You may also be removed from the guild if you show little effort to rectify your performance. For mythic raiding we use Ask MrRobot, DPS and Healing statistics along with raid attendance rates and a few other factors to make raid invitation determinations, but are also very supportive of people who can perform throughout an entire raid in addition to doing their assigned tasks (kiting, cube clicking, decursing). If you turn up late, unprepared or with no consumables, you will lose your raiding spot, if you fail to meet our standard raid requirements consistently - you will be shown the door. In 5-man groups, loot is distributed using simple Personal loot. Many of us see it as the engine that keeps us all raiding together in a spirit of cooperation. To be a member of LIGHTNING you will need to accept and adhere to this guild charter. You can then normally expect to have one or more chats in-game with the recruitment officer or one of the guild officers so that we can learn a bit more about you. After a suitable initiate period you will be promoted to a full member if you have shown sufficient ability during raids and an ability to get on with existing members. You may need to ask an officer to set the wheels in motion to get full membership - but we usually set a time of 1-2 weeks. The vast majority of initiates do become full members. There is currently a single GM who steers the guild towards its goals. The GM is supported by a number of officers. The officers have a lot of input in any significant changes that effect the guild. Overwhelmingly, the atmosphere in LIGHTNING is mature, relaxed and friendly. However, we have had to kick people from the guild before. Most gkicks were due to people being disrespectful of other guild members - either verbally or by their actions. In addition, activities that are against Blizzard's ToS (such as gold buying, buying/selling accounts, using hacks and botting) are grounds for immediate dismissal from the guild.